The Second Book in the Series to Help You Learn the Secrets of Creating Realistic Duck Decoys. Duck carvers can improve the quality of their work thanks to the guidance of noted artist Bruce Burk in this updated portfolio of detailed color patterns and finishing tips and techniques. 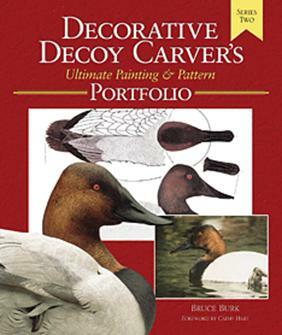 For those carvers who have difficulty in making their own drawings-or those with limited access to live or mounted birds-the Ultimate Painting and Pattern Portfolio Series Two will become a priceless tool in creating award-winning decoys.